For some ghastly reason the Shed Kids have decided that we needed to go to Orlando ! With a short trip to New York it will be Theme Parks and Thunderstorms this summer - oh well I am sure I'll find some bits and bobs stateside for the table. British Military Intelligence has intercepted a communique between the personal office of Himmler and the Kriegsmarine - the coded message reads that the German Registered steamer Vancouver was to be crewed by Naval personnel and to sail to Acajutla on the West Coast of El Salvador , Central America. 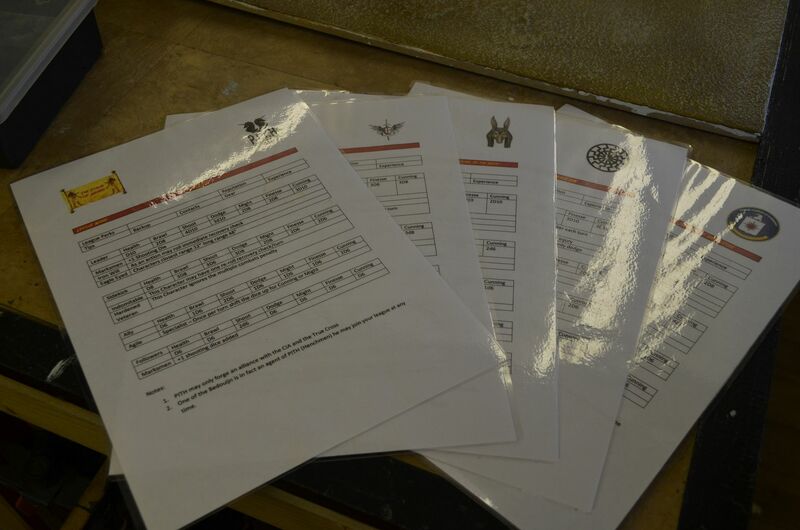 The Passenger manifest would include Hauptmann Gruntz (the man responsible for seizing the fulcrum in Egypt). 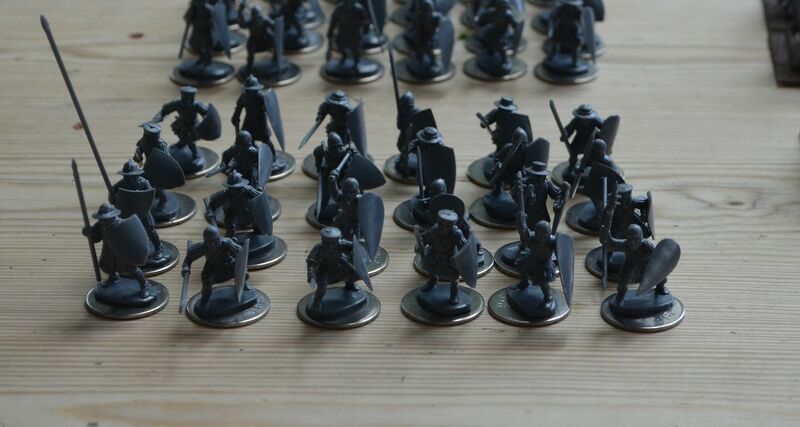 Local agents in the town report of a sizeable German Archaelogical build up. 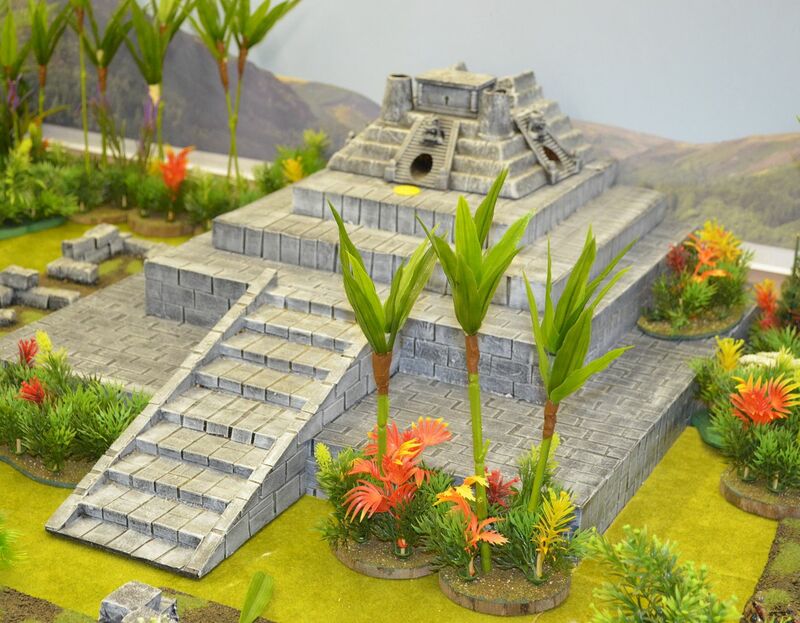 Rumours abound that the Germans have been excavating around the pre-columbian Maya complex at Tazumel. 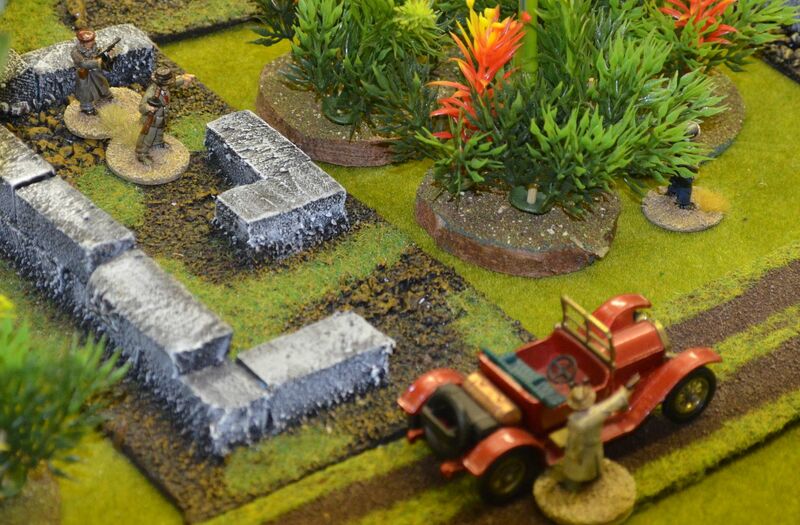 Forces loyal to the President in the Area Are Known to be Sympathisers to the NAZI cause. 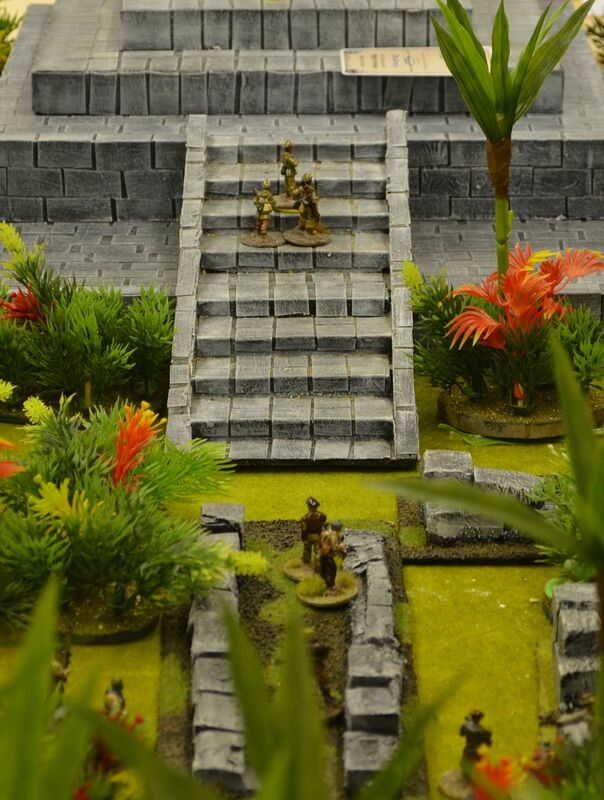 So Ahnerbe have captured the first piece of the scales and are close to finding the second in the steamy jungle ruins of Tazumel. Tazumel is situated on the banks of the Rio Paz. This forms the border of El Salvador and Guatemala and the river runs 120km towards the Pacific Ocean. On the outskirts of Tazumel and by the river is the small trading post of San Cristobal (Ficticious) which was founded by the Jesuits in the 18th century. The settlement is dominated by the crumbling catholic chapel carrying the same name. 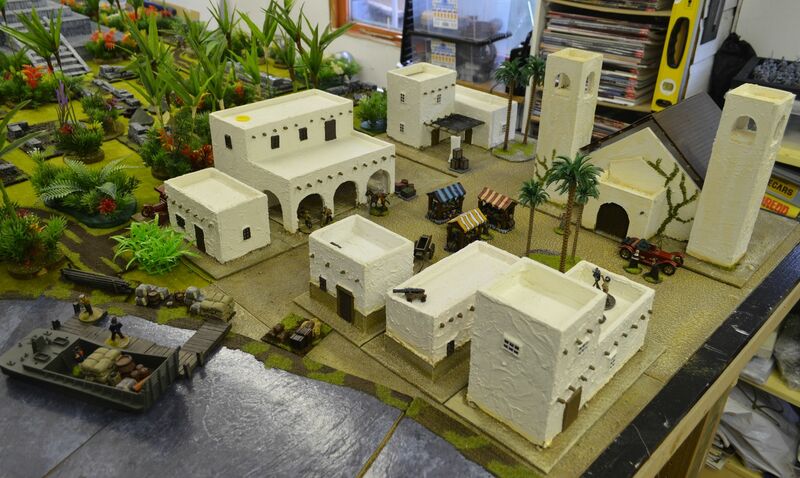 A local tavern/trading post along with a few other dwellings constitutes this small village. The ruins of Tazumel lie to the south of the settlement. Clues for the location of the dish are scattered across the perilous region. 3. 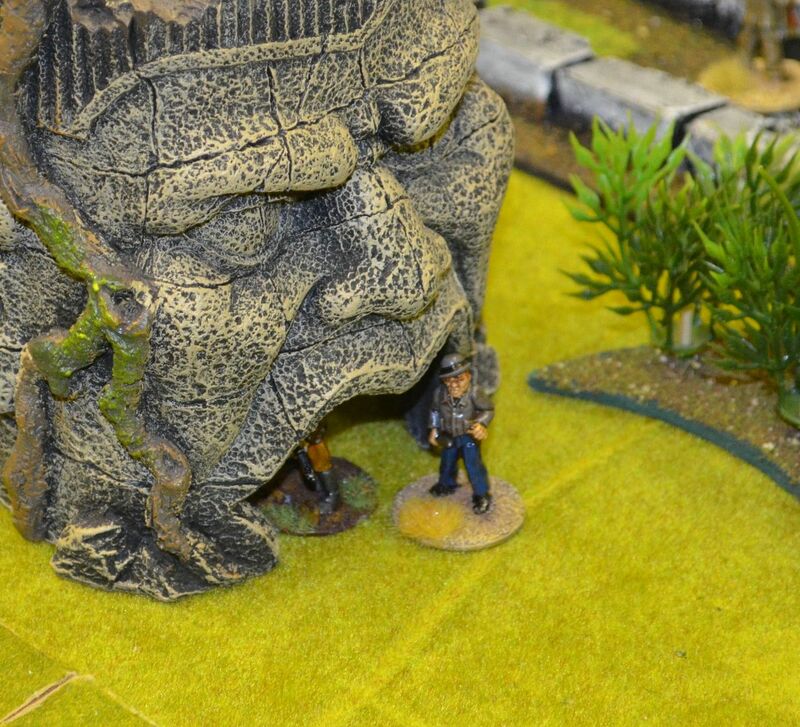 He starts on the board in the ruins at the Nazi Excavation site. 4. 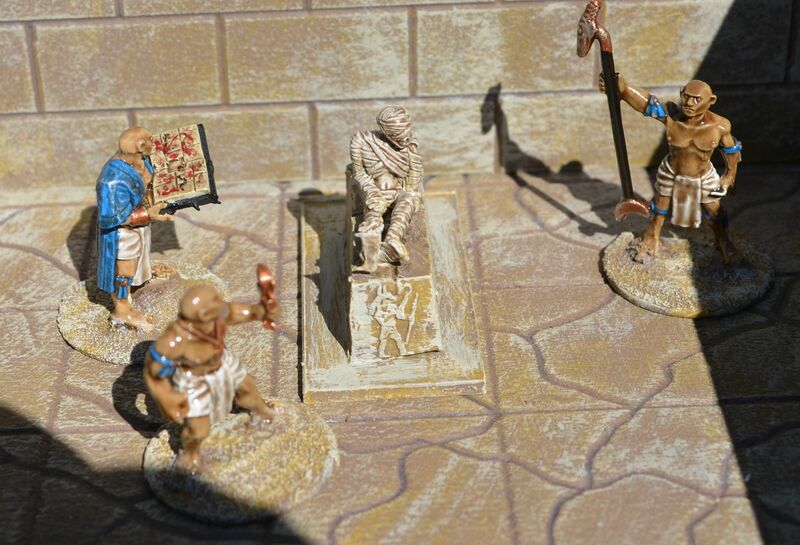 One of his followers is a sniper (Eagle Eyed) who is hidden at the top of the temple of the Sun. 2. 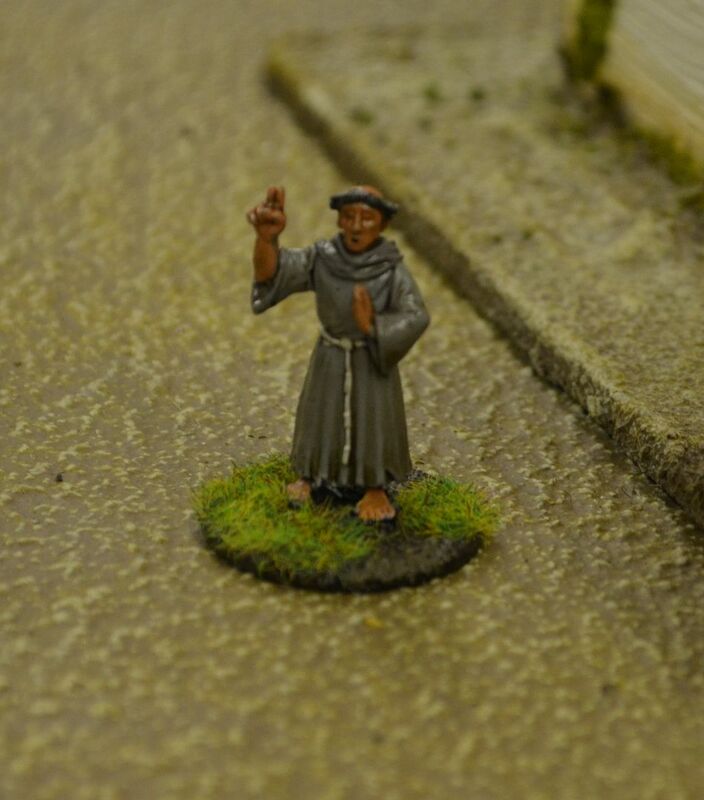 The Priest – Father Jesu will automatically give you his plot point should you come into contact with him at the Chapel of San Christobal. 3. You must exit the board at the jetty by the river. 3. 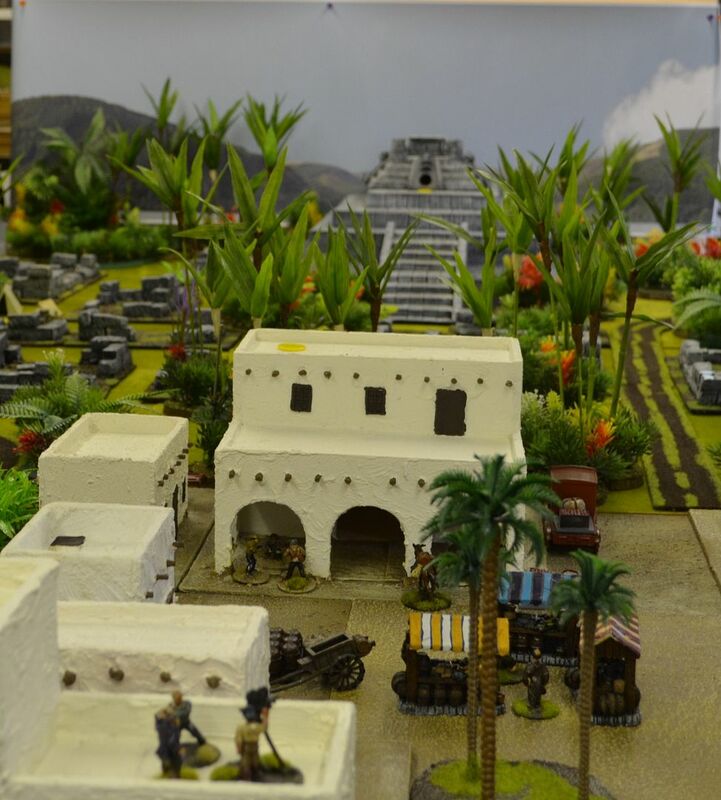 The owner of the trading post Alfredo Garvas is Pedro Gonzales cousin. Provided you can reach Alfredo first he will not only give you the plot point but he will also release his henchmen to become your followers (x3). 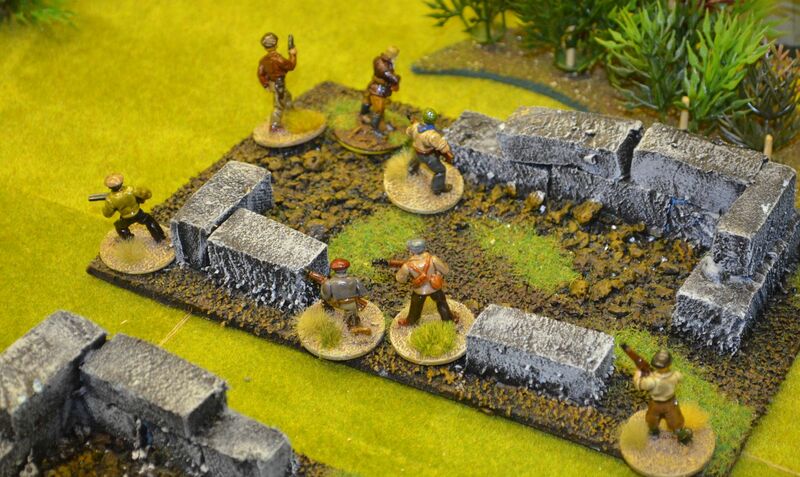 Early on the Nazis pushed to capture the plot points in the jungle and Herr Gruntz and his band overcame the perils in each zone meanwhilst the White Cross had picked up the notes from Father Jesu. The White Cross and the CIA soon met in the tavern, and whilst the White Cross could not persuade the owner to hand over his rumours (plot point) the ally of the CIA had no issue (he was afterall Afredo's cousin. Fisticuffs broke out in the upstairs of the tavern and before men started dying the White Cross leaped from the windows into the alley below. One henchmen almost became a cropper but safely landed in a case of tomatoes ! 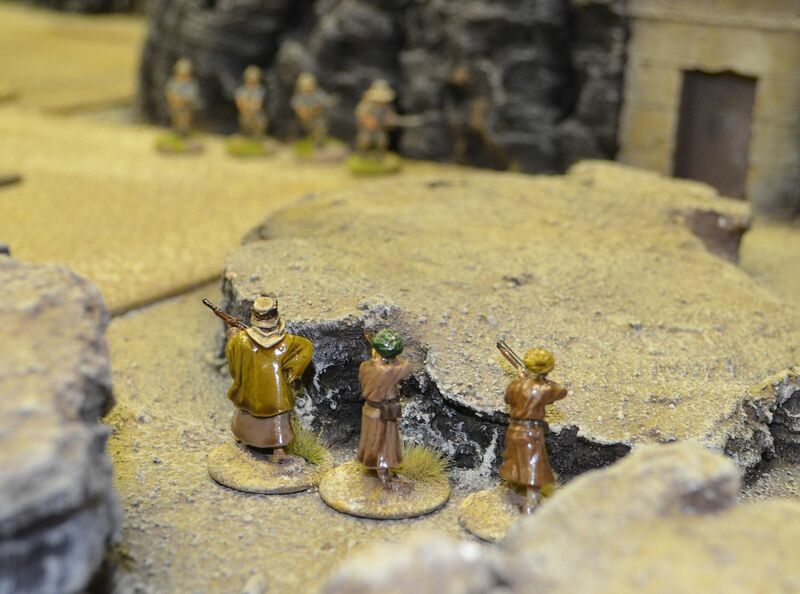 As the White Cross traversed the street to head into the jungle one of the men casually sauntered past the tethered donkey...don't these players learn the rear end of animals on the board are almost certainly going to be a peril ! Fortunately for him he dodged the flying hooves. By now each of our leagues were in possession of one plot point and the action was converging on the centre of the table. 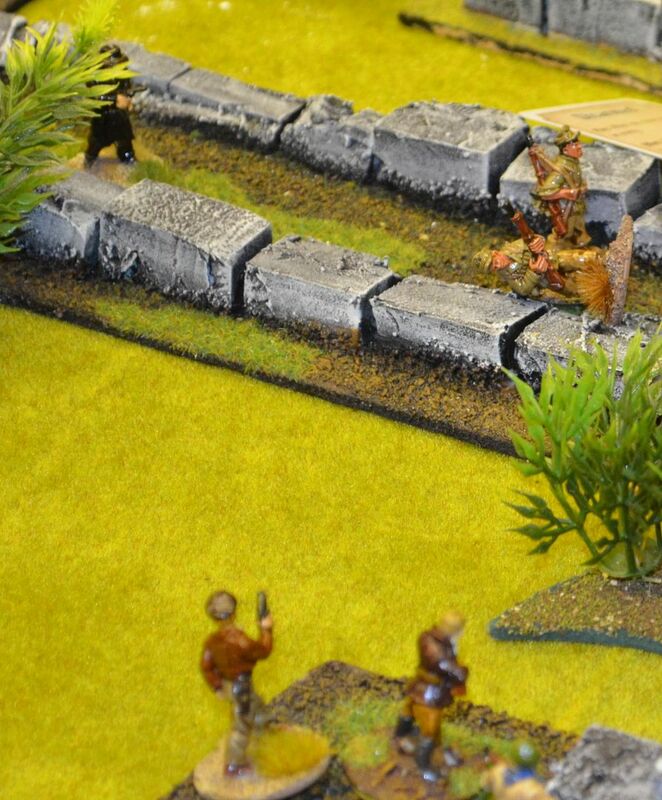 As the Americans and Italians broke cover the German Sniper on top of the pyramid opened fire. As he did a peril was played on him. He failed to overcome this ...perhaps his gun exploded in his face we will never know as his unconscious body rolled down the archaic steps. 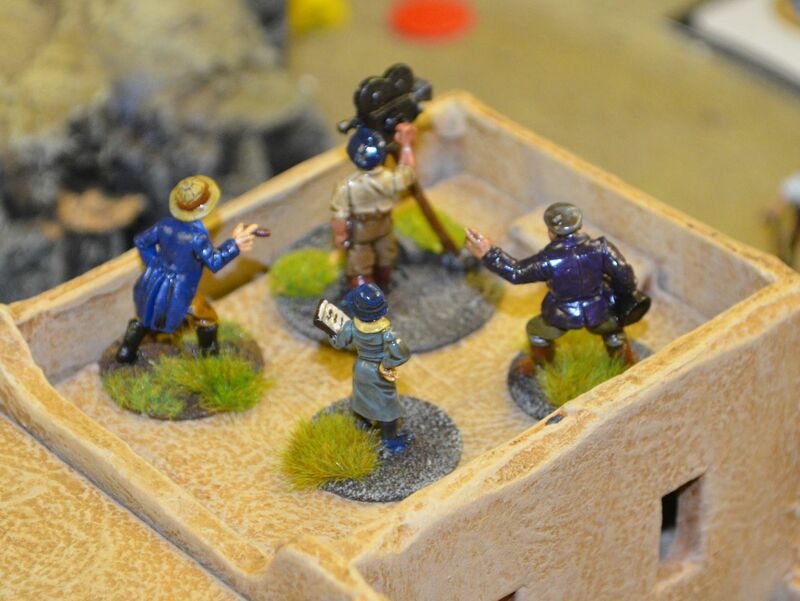 The Germans quickly overcame their second ploy point in the archaeological dig - narrowly escaping the swarming bees that had already killed off the American sidekick Doctor Missouri. The Italians of the White Cross now ha the three plot points and the entrance to the tomb where the Vessel lay was revealed (an aquarium statue). They bundled in only to be knocked out by the trapps lying inside (perils). The American seizing the initiative folled suit and Oregon Tom (leader of the CIA faction) soon had the vessel in his hands only to be gunned down by the pursuing Italians. With the Vessel of the heart now in the hands of the Nazis, the US Government attempted to stop the only known ship leaving El Salvadore the following morning. The German registered Vancouver. The USS Porpoise (SS 172) was on training maneuvers off the coast and was ordered to sink the Vancouver. Its first torpedo struck the steering rudder of the Vancouver but before it could launch another strike the Sub suffered some critical failures forcing it to call off the attack. The Vancouver ran aground on the coast two days later. 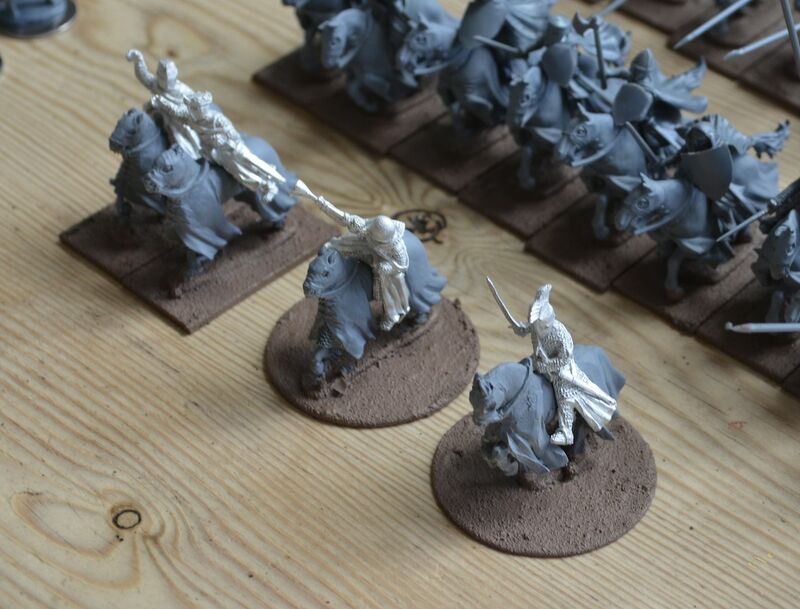 Having put together my Saracen army it was only right that the next large force I should consider is the opponents - the Crusaders. 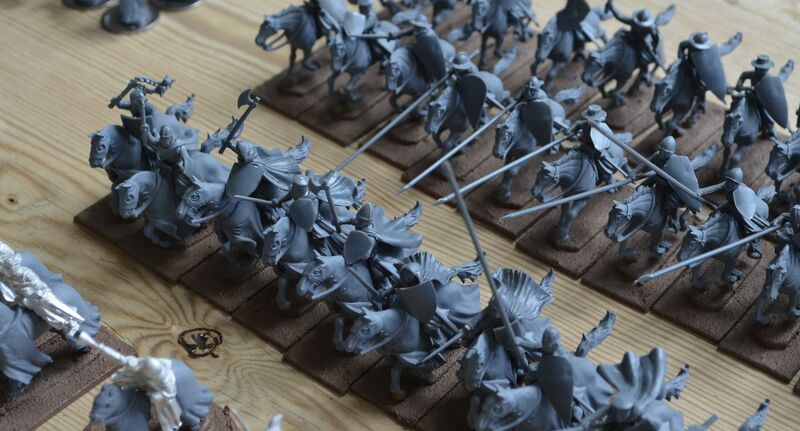 Fortunately I already have around 24 Horse and a 100 foot painted for my Robin Hood games so what you see in the next few shots are the balance of the army...another 39 Horse and almost 100 foot. 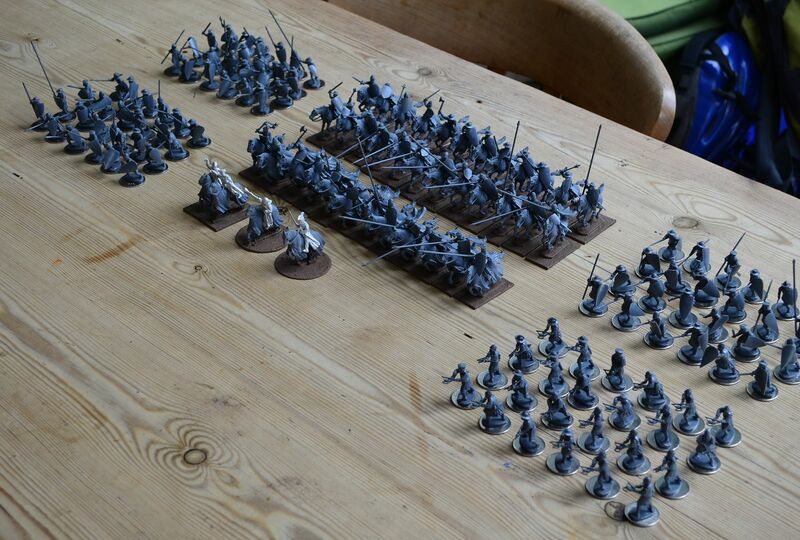 In addition there are 96 foot - 24 of these are made up as crossbow men and the remainder are all infantry. 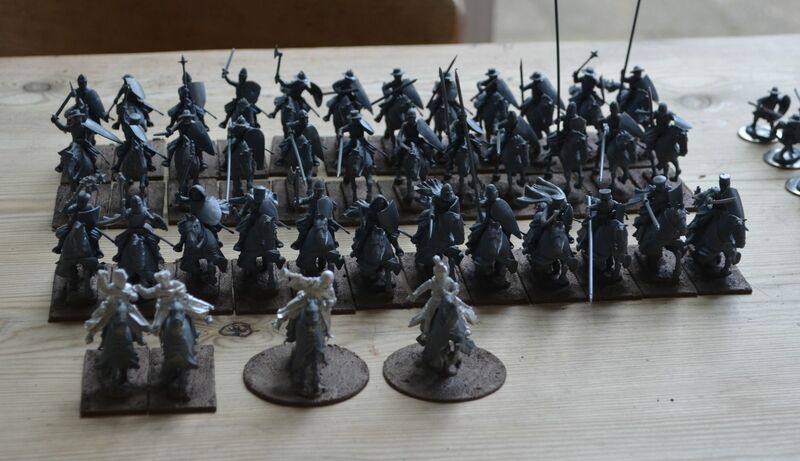 Unlike my robin hood forces II have not gone for a uniform look or pose. This means they look far more irregular. 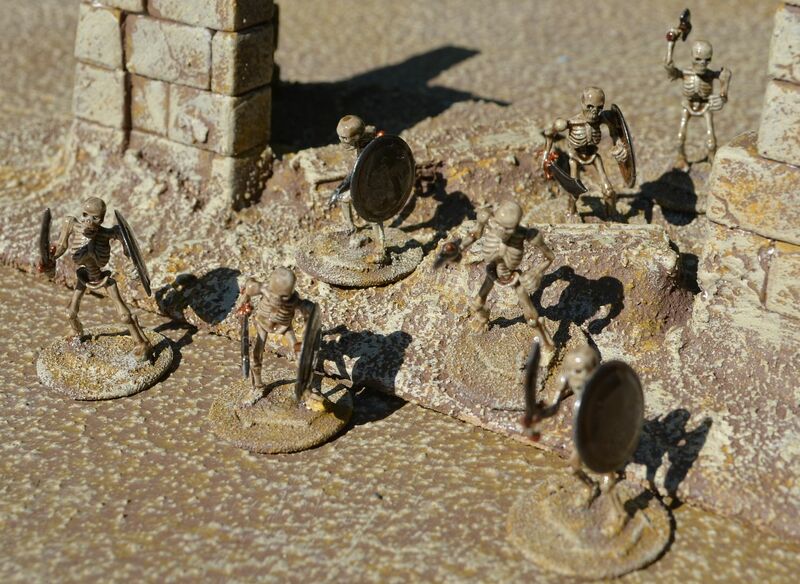 A few weeks ago I managed to pick up some cheap 28mm skeletons on ebay - these can be used in a variety of settings from my pulp adventures to a future planned Jason and the Argonauts game. 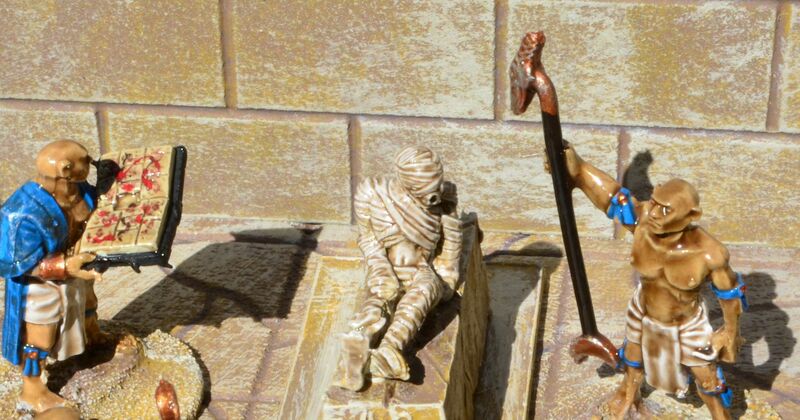 and secondly the Priest with his entourage raising the mummy. 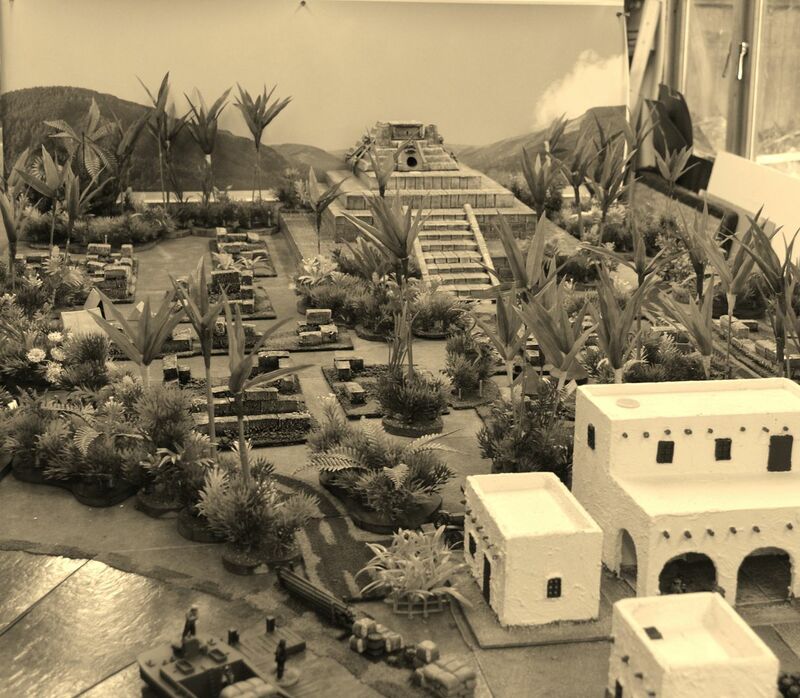 Its 1936, February in Egypt, the news that the lost tomb of Thutmonkon in the valley of the kings has been discovered by local Egyptologists. Secretive agencies from across the world have descended on this small piece of the world to seek out one of the fabled parts of the Scales of Anubis...the balancing piece or specifically the fulcrum. 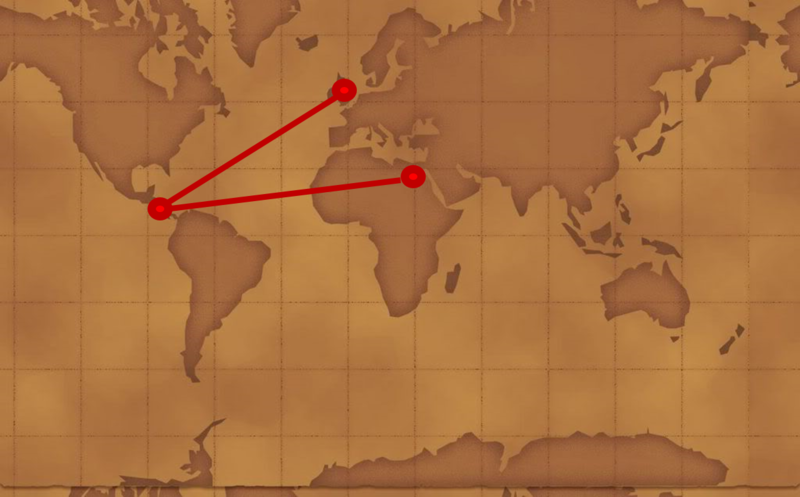 To reveal the location a League had to procure three of these plot points. 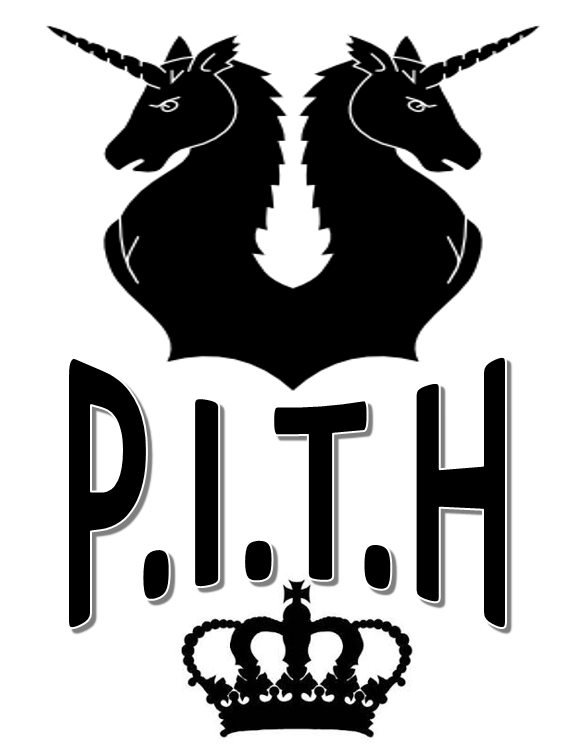 PITH - is Britain Secret Paranormal Service - stands for Paranormal Incidents that threaten Humanity - established by Battiscombe Gunn their primary mission to stop the Nazis from procuring artefacts of history that might endanger human civilisation. 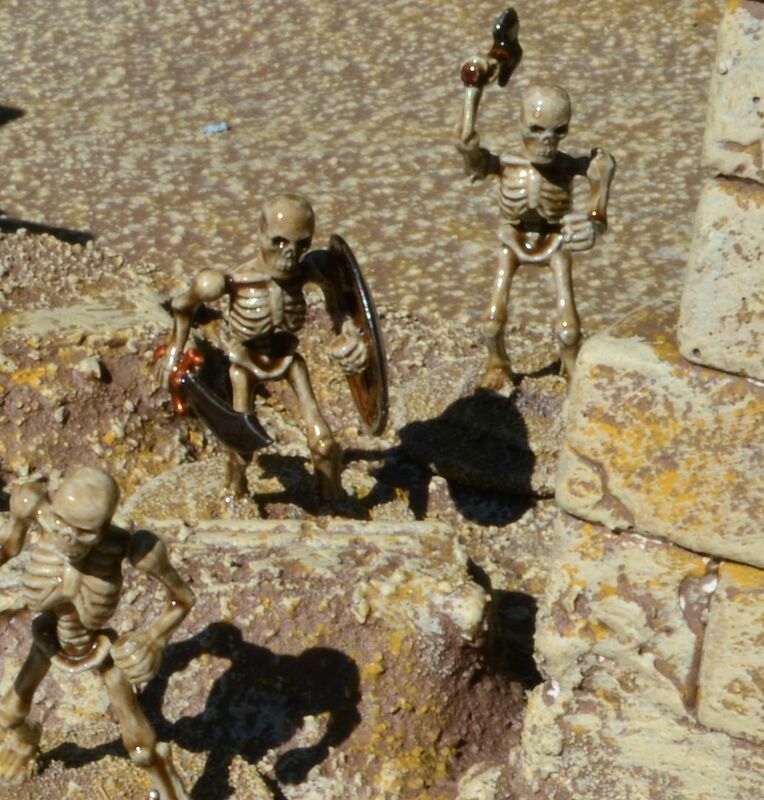 PITH have infiltrated the Digger Gang with one of their Allies. 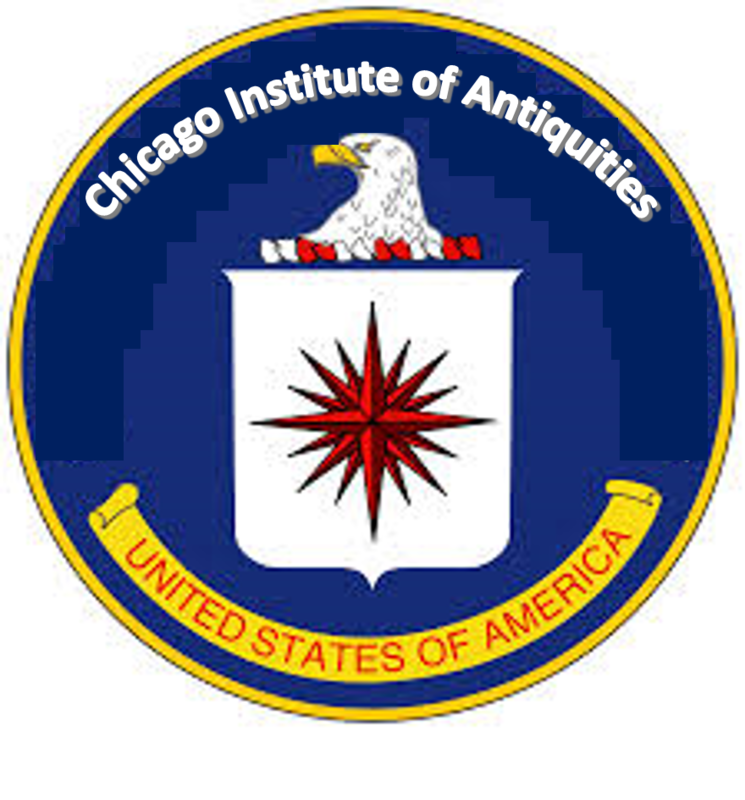 Secondly we have the Chicago Institute of Antiquities. This supposedly privately funded organisation has similar goals to PITH but wants to store these artefacts in a large warehouse where nobody can ever use them. 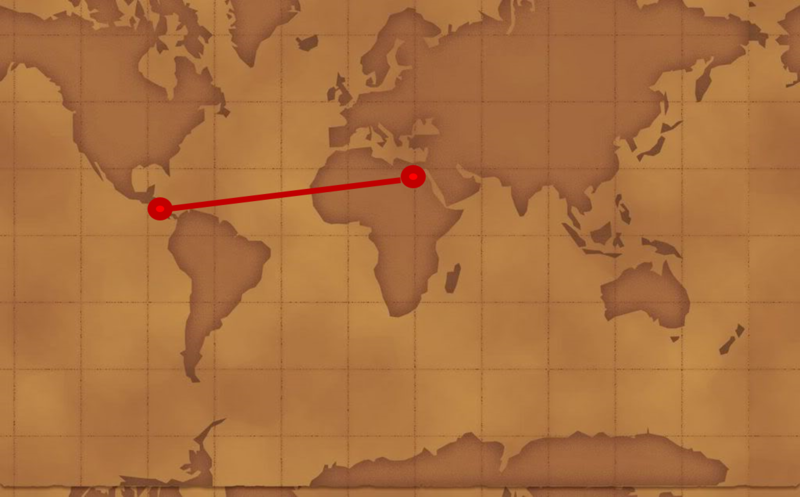 The team in Egypt is lead by Texas Jack. The CIA have managed to implant one of their agents (follower) into the Bedouin encampment. 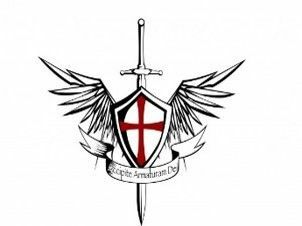 The third in our list is the White Cross - a Vatican Sponsored organisation (with links to the Mafia) that is intent on destroying all pagan artefacts. This team is lead by Cardinal Don Delgado. The White Cross have in fact discovered that one of the plot points is actually a hoax - this will not be revealed until it is tried to be used. The White Cross chose the Film Crew to be the host plot point. Finally we have the Order of the Black Sun. The German Nazi sponsored organisation intent on capturing said artefacts of power to ensure the dominance of the third Reich. 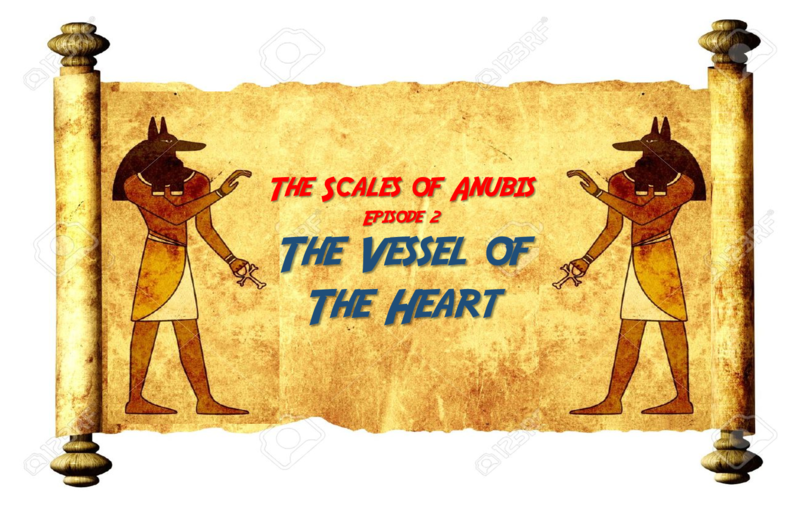 In the way of theses treasure hunters are the secretive sect known as the Protectors of the Path, Anubis;'s own acolytes who's mission is to stop his legacy from falling into the wrong hands. Lead by Al Queresh, the high priest they must stop these infidels. Al Queresh already knows the location of the Lost Tomb. With so much going on I decided that I would Umpire the game - we were due to have a sixth player present but sadly for them they could not pitch in. 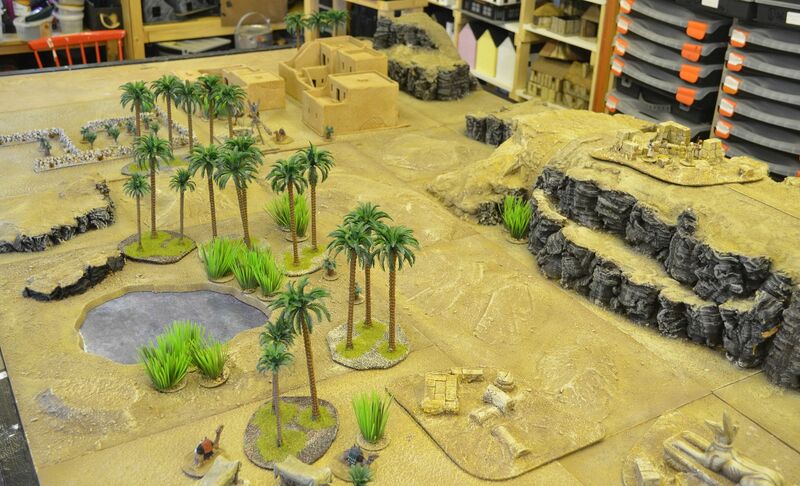 The table: I pretty much used all of my desert terrain including recently constructed ruins on this massive board. 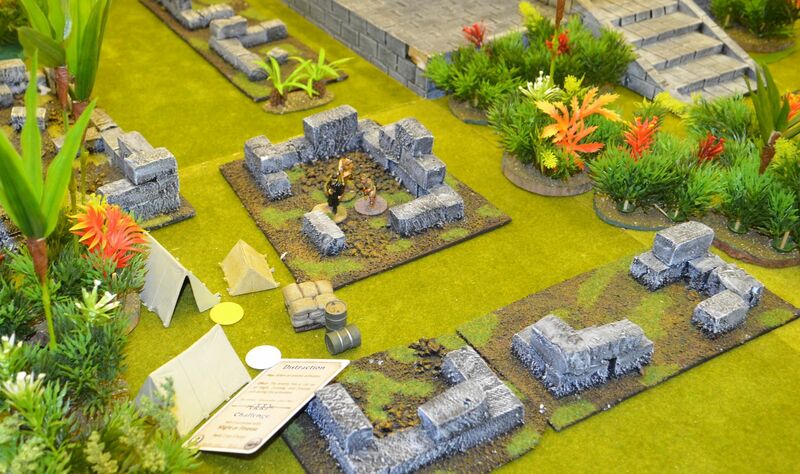 By using large slabs of foam I was able to terrace the valley. All the Cliffs and Ruins were deemed as perilous terrain with rolls against dodge or might required to traverse these. 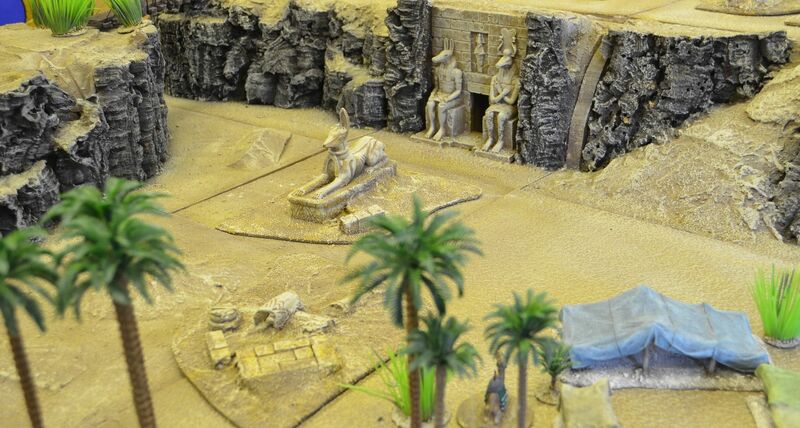 In addition the Camels on the board were deemed as perils. Anybody running past the rear of one of these beasts could receive a sizeable kick...a dodge roll to avoid. At least one German trooper came a cropper to one of these to much hilarity. The game started relatively smoothly with each of the leagues rushing towards the various Plot points. PITH quick captured the first at the closest tomb, although many of the followers quickly succumbed to the falling masonry. Fortunately only cuts and scrapes were recorded. The Americans (CIA) recognising the film crew were their closet target headed into town. 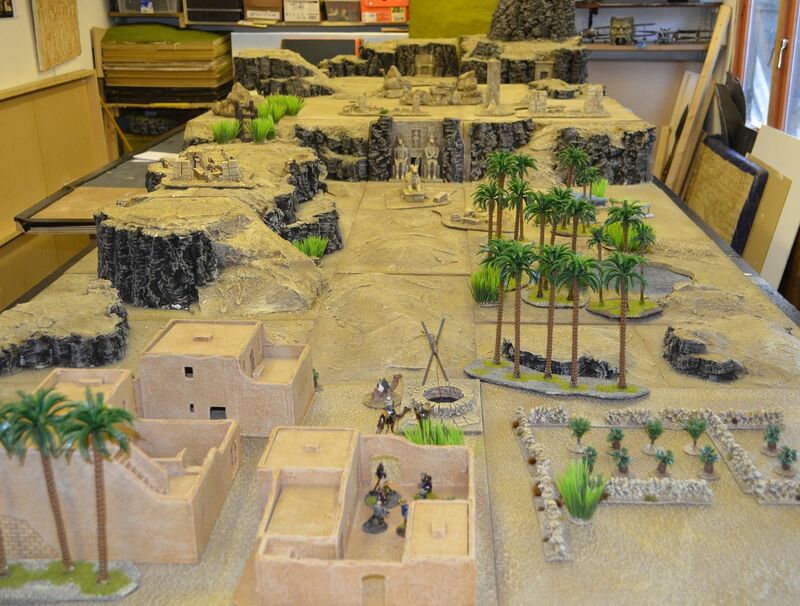 The Leaders sidekick proceeded to the crew, in the process he avoided the kick of the camel and passed the peril surrounding the camera crew - their copious amounts of kit, film cases etc could cause a nasty cut ! With some smooth talking (finesse) the plot point was his - little did he know that this was a hoax ! mind you it made no difference to the game read on. 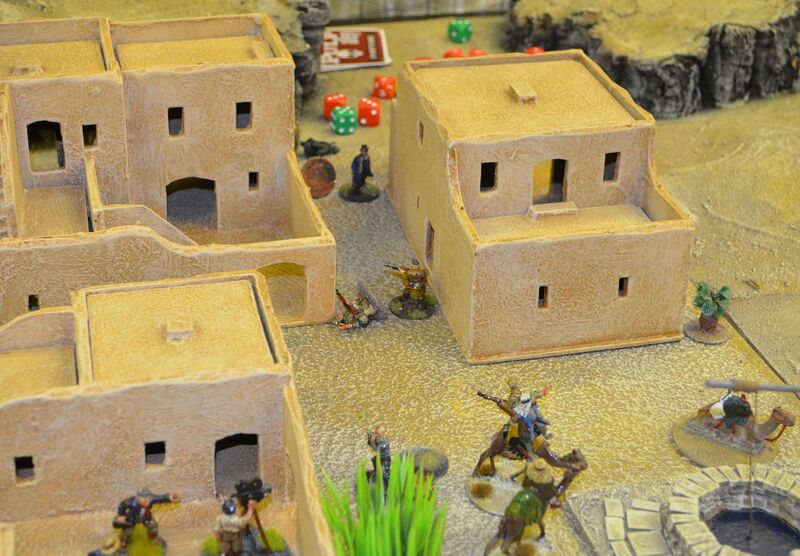 By now those gun toting clerics of the White Cross had emerged on the outskirts of town and engaged in a deadly gun battle with the Yanks. This soon petered out as the Nazis entered the fray. The Town was soon buzzing with the sound of bullets and cries of the wounded. We genuinely did have a Pulp, Blood and Guts Alley. With so much incoming fire the CIA broike cover and headed for the nearest escarpment. 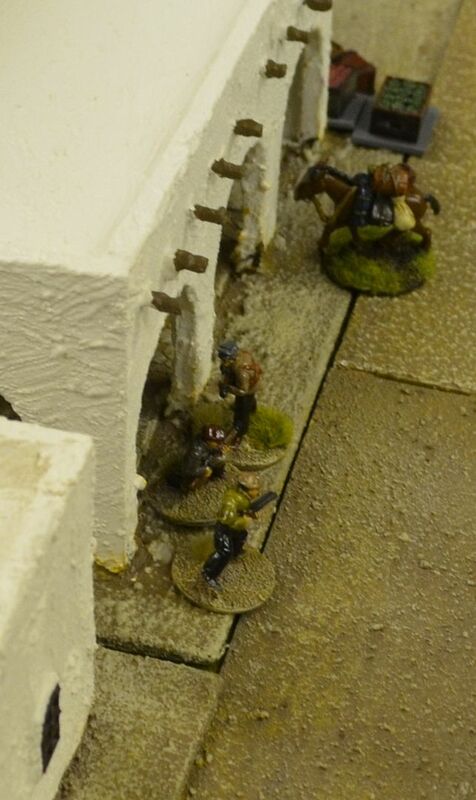 No sooner than they had climbed half way they became targets for the nefarious Nazis. 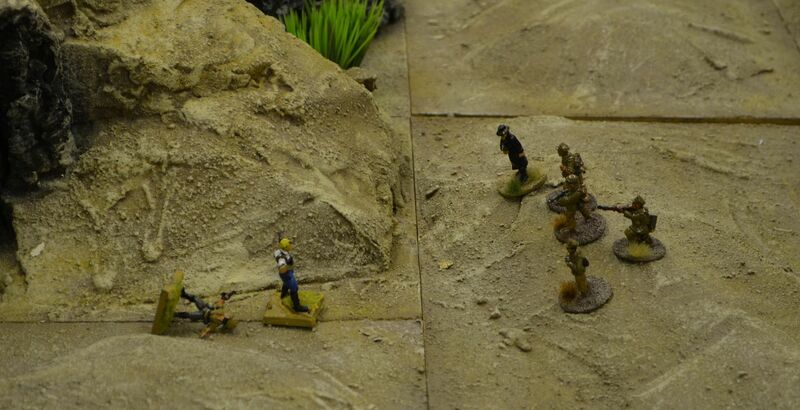 A fusillade of lead flew across the dunes cutting down the Americans. Within three short turns Texas Jack lay in a pool of blood. His only grace being that in his dying shoot out he tool at the Nazi Ally Lieutenant Zwei. With all this going on in town PITH was having a relatively easy job of collecting the plot points on the top valley floor. 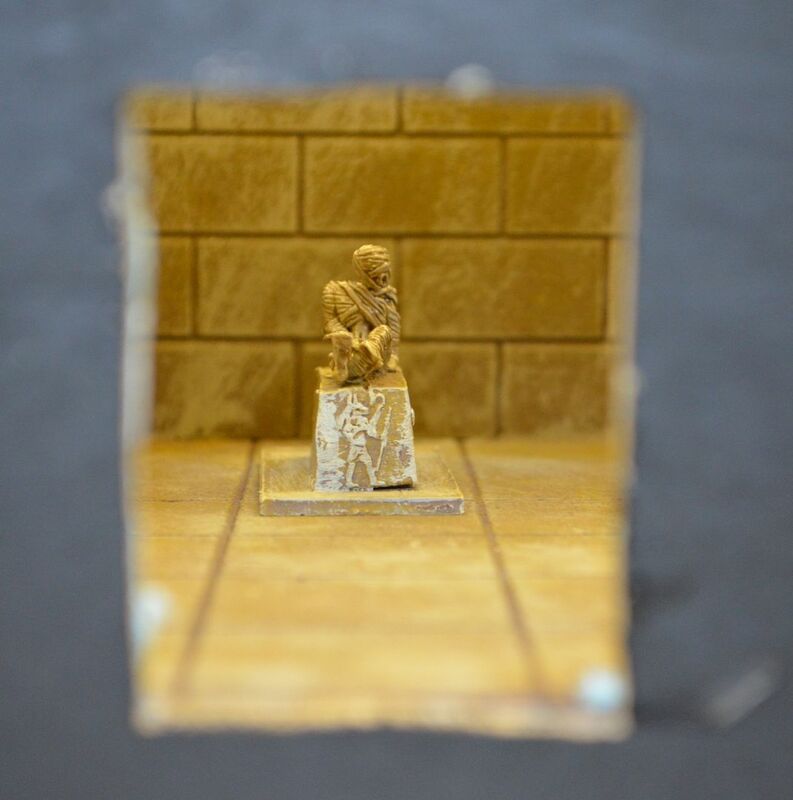 Successfully managing to heave open the second tomb door and avoiding the falling masonry Grainger Stewart held two tokens, and the third was soon his when he managed to persuade the French Archaelogists to hand over theirs. 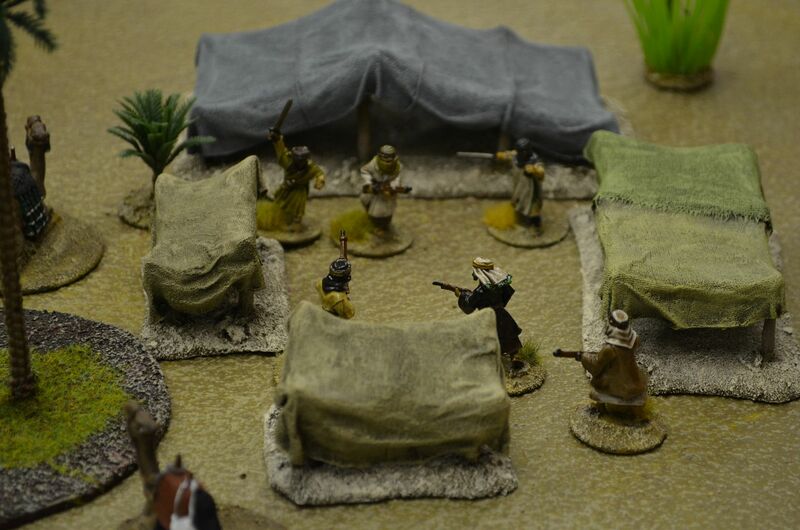 However before this happened many of his gang were overcome by the smell of garlic in the encampment (peril) and they were lucky to leave alive. 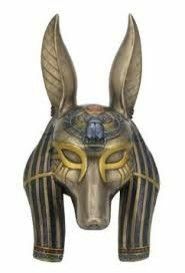 With three plot points in their possession PITH could tell the location of the tomb entrance was under the Anubis crouching statue in the lower board area. 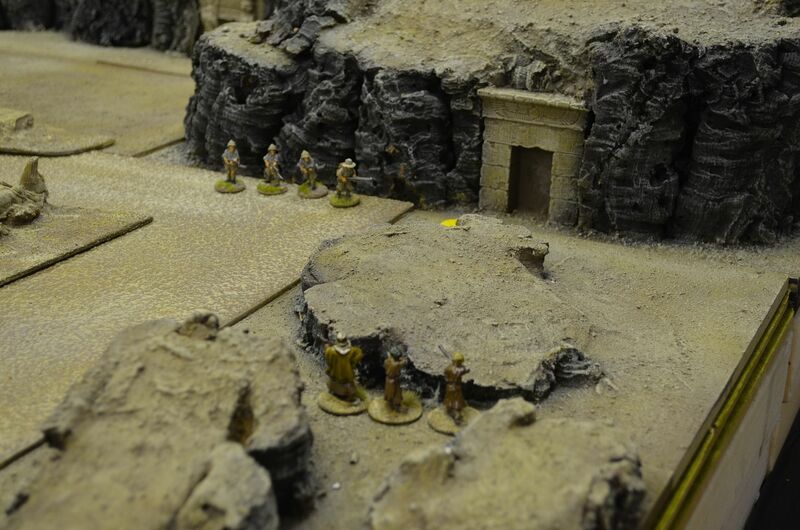 Avoiding a slippery death on the cliffs the team made their way towards the tomb revealing its position to the rest of the leagues. 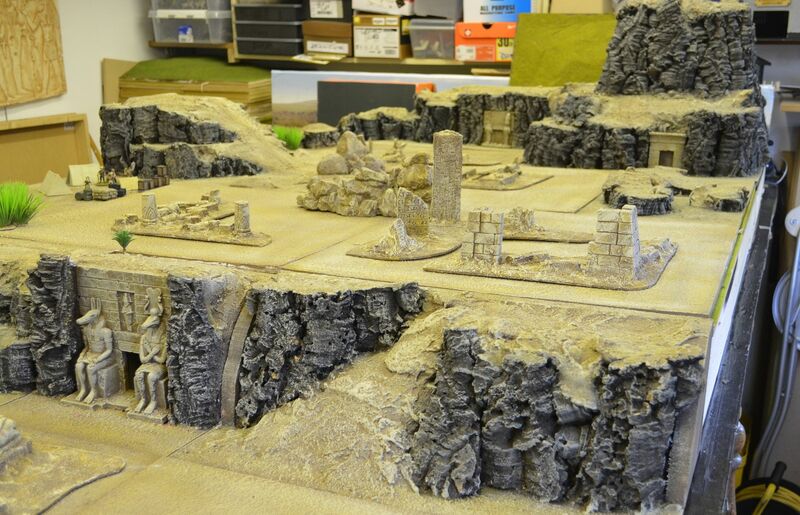 It was at thios point the carnage and chaos began. 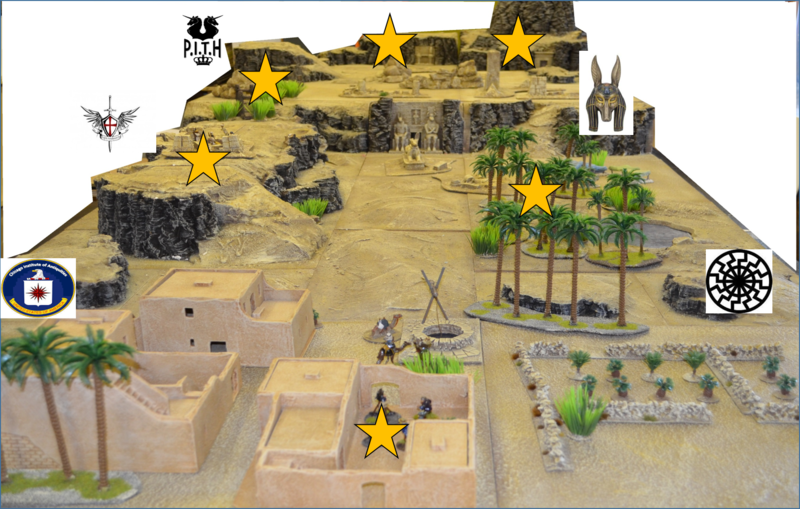 A three way fight broke out between the PITH explorers , the Protectors of the Path (and the Mummy they controlled inside the tomb) and some rather desperate Nazis who had run across the desert floor. 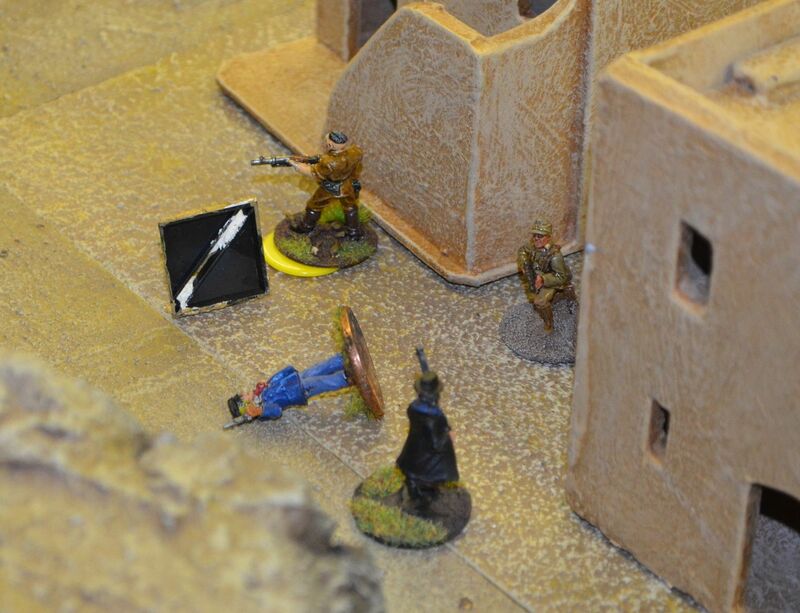 The firefights and brawls were chaotic, wearing and bloody. 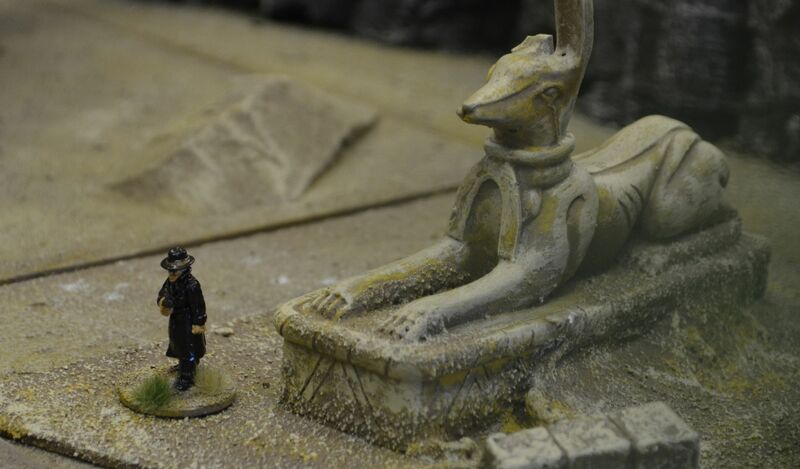 As the sun slipped behind the hills for an end to an interesting day a long leather coated figure appeared in the entrance of the tomb clutching part of the fabled artefact. The suns last rays catching the red and white swatika'd armband on his sleeve.